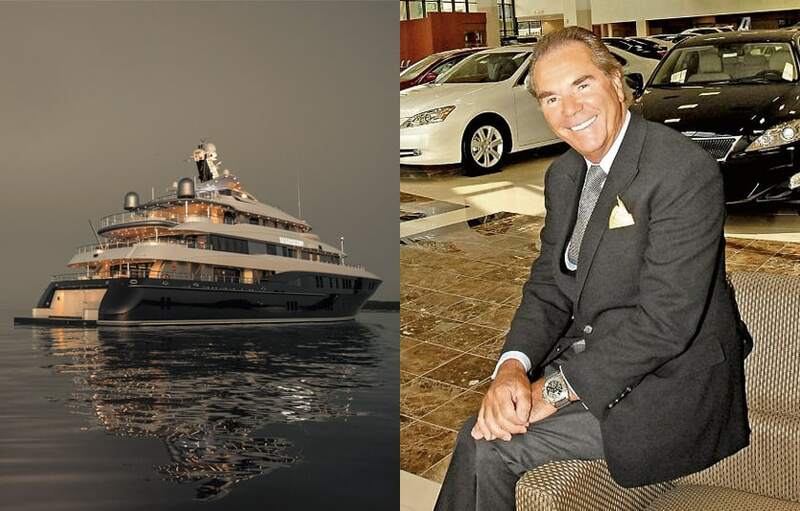 Abeking & Rasmussen: When did you decide to commission A&R to build a yacht for you? Herb Chambers: EXCELLENCE III, 188 ft. Abeking, was purchased in 2001. It was a yacht that was built on spec and was about one year away from delivery. A broker sent me information on it and at thattime I had a 156ft Feadship that was a few years old and I was considering a larger new build. My longtime captain went reluctantly to A&R to view the yacht. He called that evening and said, I should “come see it”, as he was very impressed. Within a day or two I went to the yard and requested a few cosmetic changes and purchased the project. It was a great experience dealing with the Schaedla family (owners of Abeking & Rasmussen). The yacht performed well and they stood behind the warranty promptly. It was a very pleasant experience. A&R: And why did one then become four? HC: I then had meeting with Till and Hans in France and they were, at the time, building AVIVA. That put me into thinking about another larger Abeking which was designed and built, and once again, a great experience. During the build I realized that there were ports that I could not get into like Nantucket Island, Saint-Tropez, St. Barths, etc. At the same time I was approached by two different parties interested in purchasing the 257 (EXCELLENCE IV) and a deal was struck and the yacht was sold at a profit to me about one year prior to delivery. I immediately ordered a smaller yacht in length, with large volume. Gross tonnage approximately 50% larger than EXCELLENCE III. I now have had EXCELLENCE V for approximately 5 years and have ordered a larger yacht once again from A&R. At A&R the yachts have all been delivered on time and on budget! It is entertainment for me to build a yacht providing you enjoy dealing with the shipyard. At Abeking & Rasmussen I do! A&R: What makes your yachts different from others? HC: There are many beautiful yachts being built. It really is a personal thing in the design. I have been fortunate that the yachts I have built were appealing to many people. A&R: What makes A&R different from other shipyards? HC: I enjoy doing business with the shipyard as I have a high level of trust and comfort in doing business with them. A&R: What do you expect of a yacht? HC: The new yacht will take advantage of the new glass technology, where I can have huge windows and have a feeling of being outside all the time. I also wanted a very different designed exterior. I am about 2 years away from delivery and look forward to seeing the yacht take shape over this period. I try to visit the shipyard every 3-4 months to see the progress. A&R: Do you have a favorite spot on board? HC: Yes, the top deck forward, great visibility and ideal in good weather. A&R: Is there anything (technical) you can do without on board? 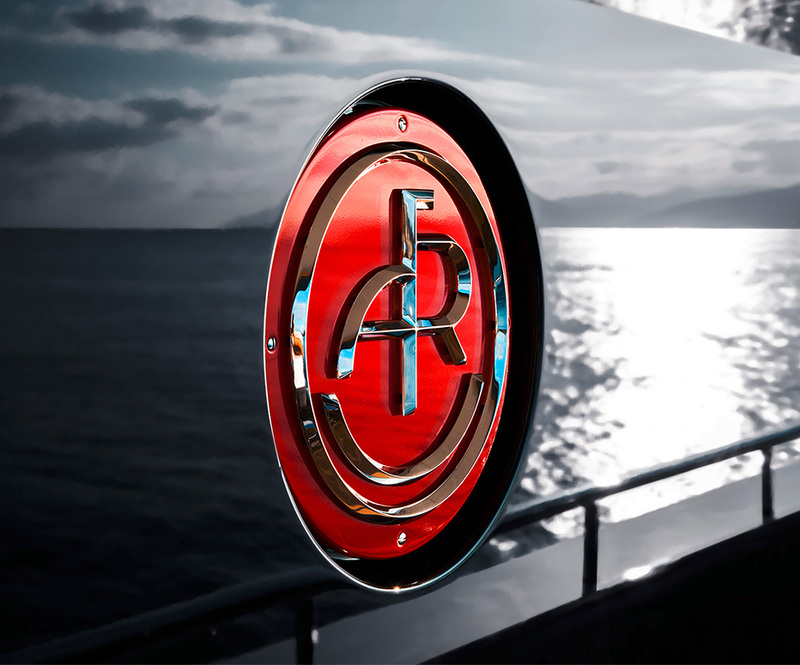 A&R: What developments and trends do you currently see in the yachting industry? HC: There is more glass and a changing exterior design that will make the yacht stand out as something very different. Yachts continue to get larger. In yacht ownership or chartering the caring, competent crew is imperative. There is no other place I know of that you can have the privacy and receive amazing food, impeccable service, in a place that you can relocate on a whim! The most beautiful places in the world are at your door step! A&R: Thank you very much, Herb, for the nice conversation.